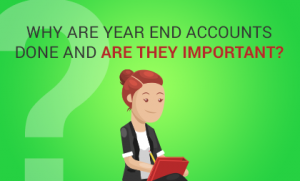 Why are year end accounts done and are they important? Kim Marlor from KMA Accountancy, the Accountants in Hale and Altrincham who specialise in helping you to grow your business talks about why year end accounts are done and if they are important? This entry was posted on Tuesday, December 19th, 2017 at 11:17 pm and is filed under Knowledge Centre. You can follow any responses to this entry through the RSS 2.0 feed. Both comments and pings are currently closed.